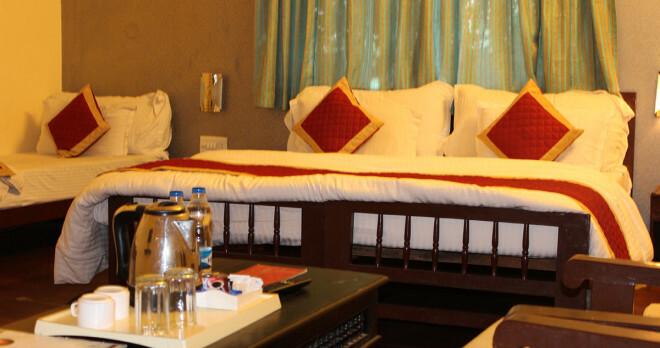 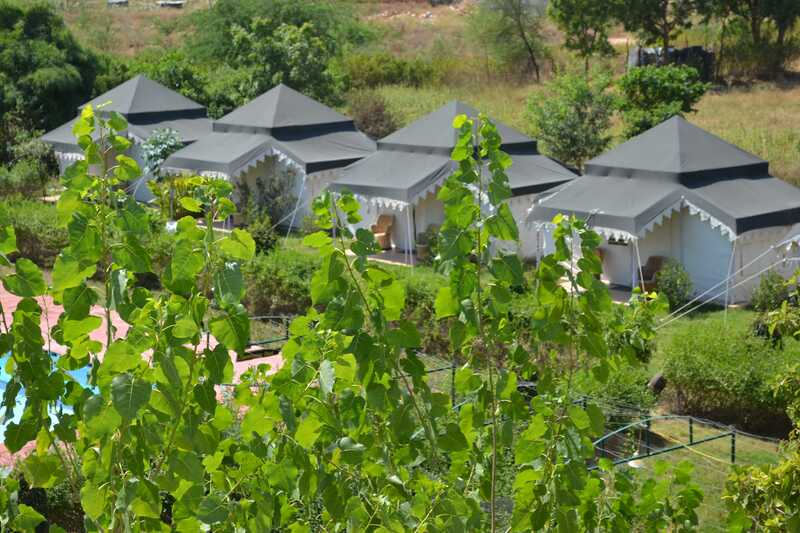 With ultra modern interiors, your stay in our Wilderness Resort, the Deluxe rooms will be enhanced with all the Modern Amentias .An ideal living space for leisure travellers, the Deluxe Rooms overlook a dynamic , garden view, Ranthambhore Jungle and Aravali Hills View. 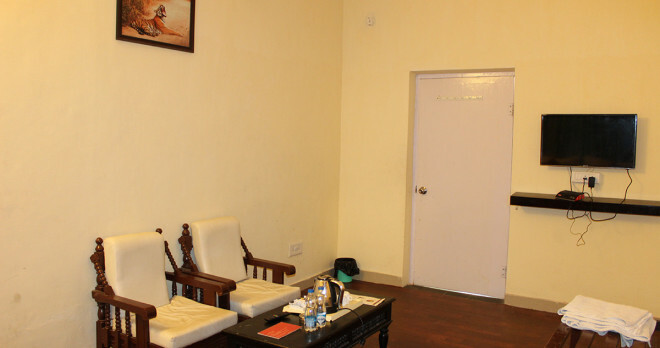 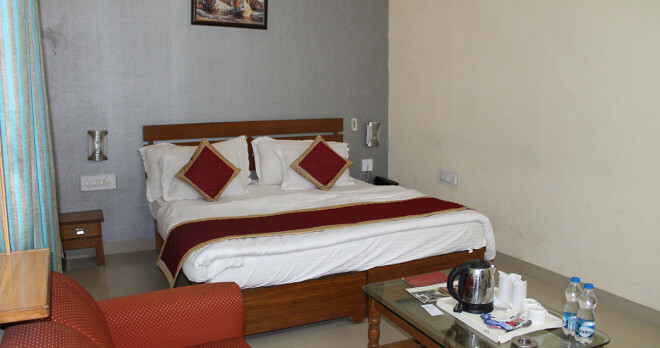 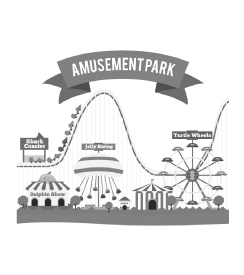 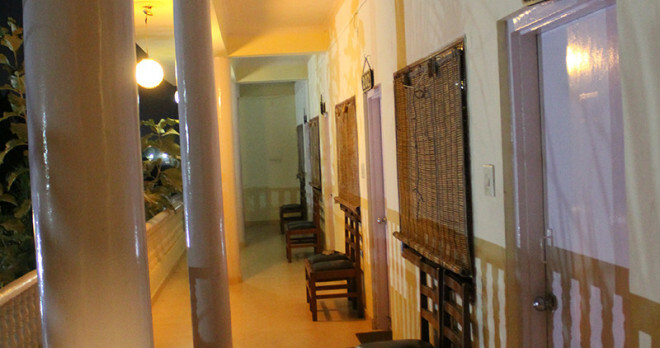 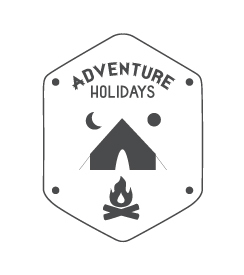 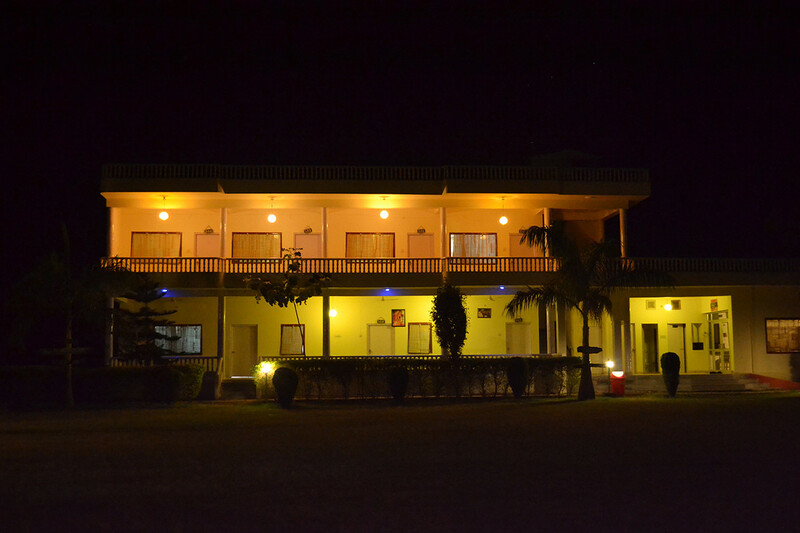 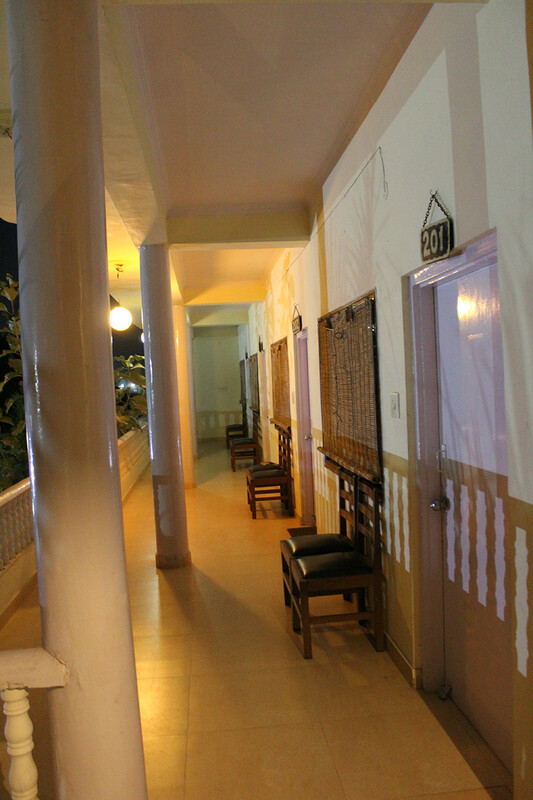 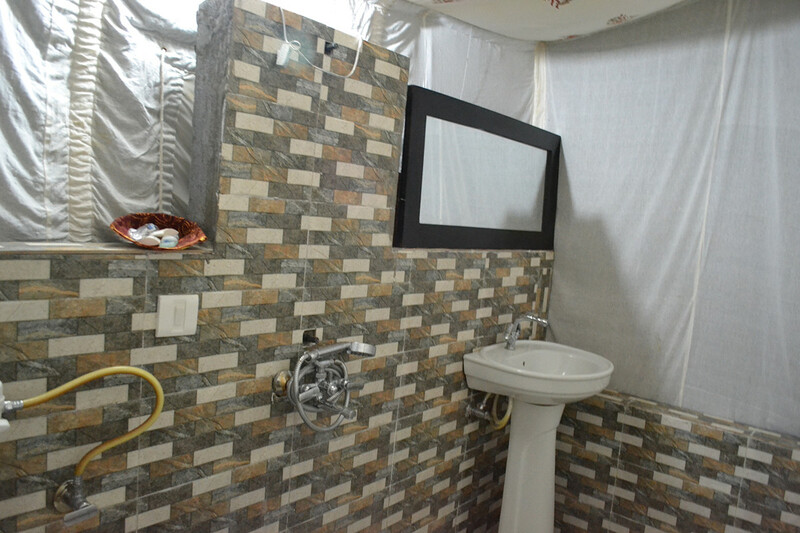 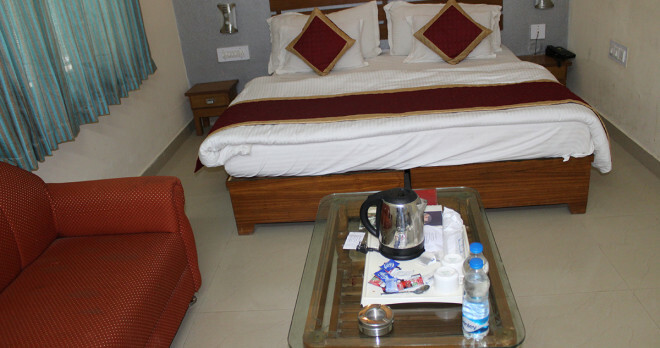 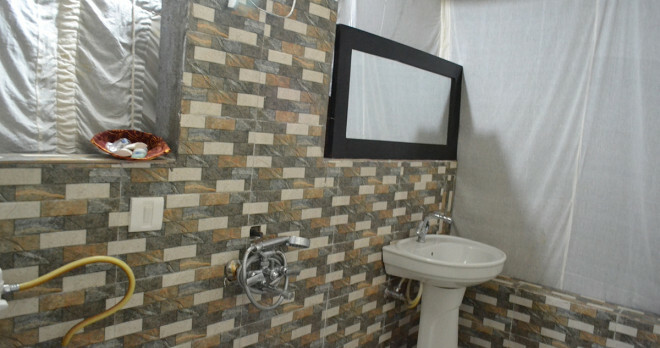 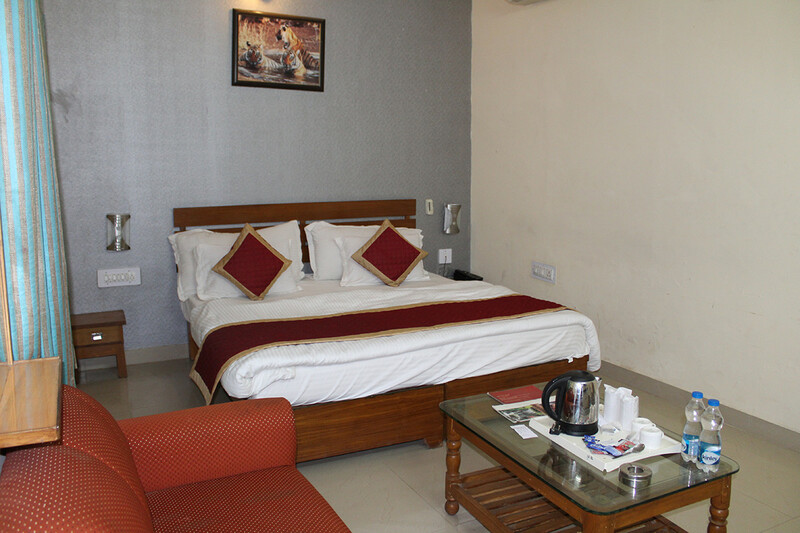 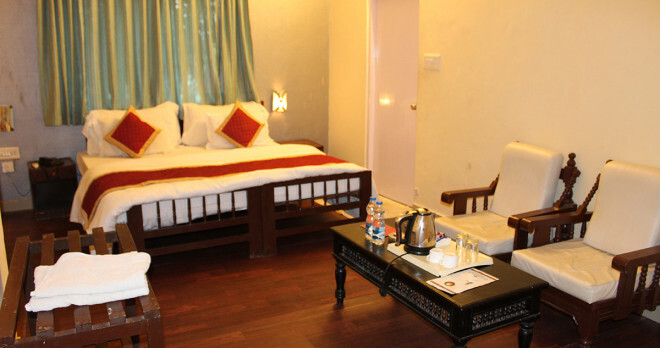 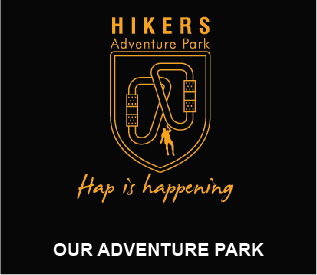 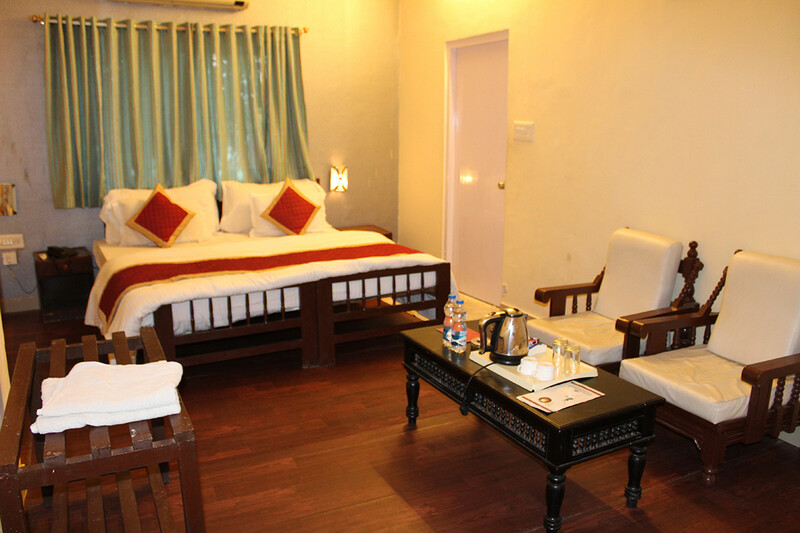 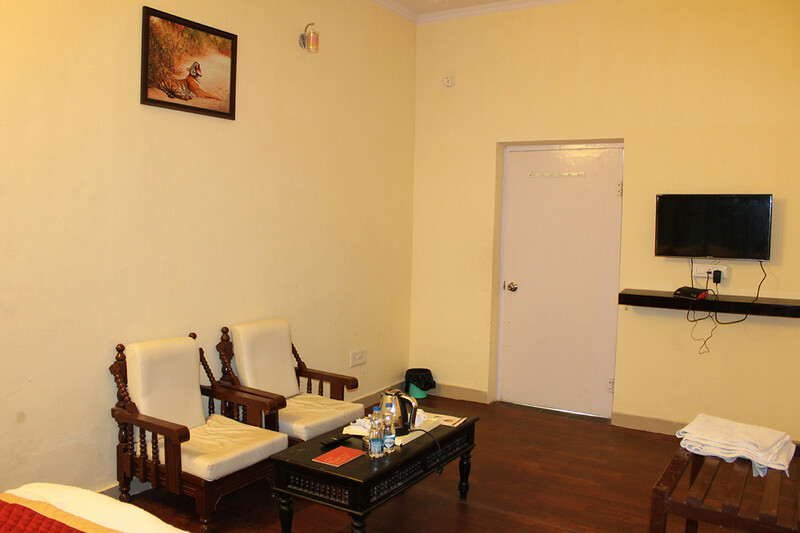 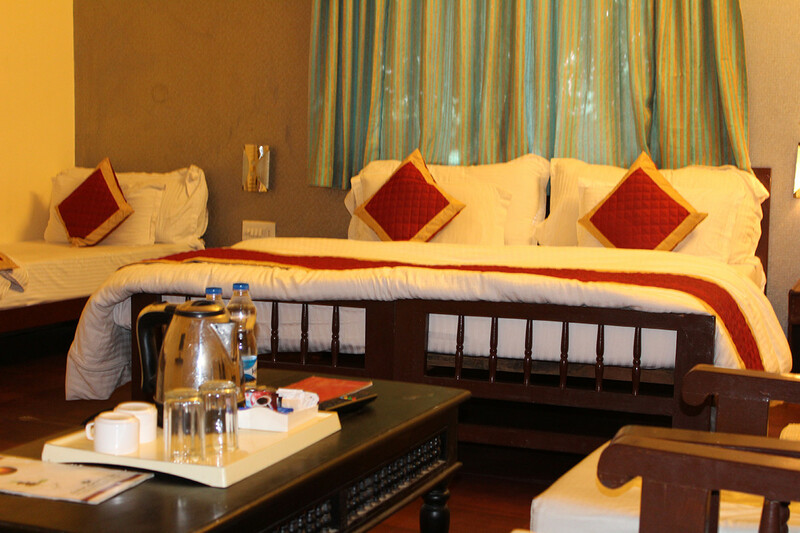 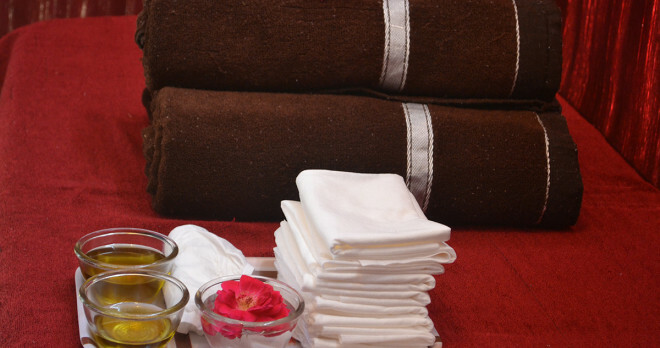 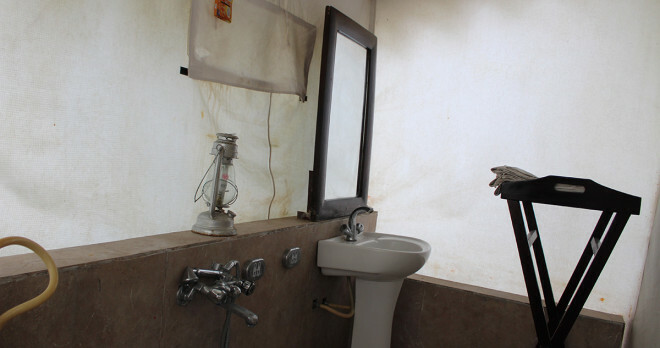 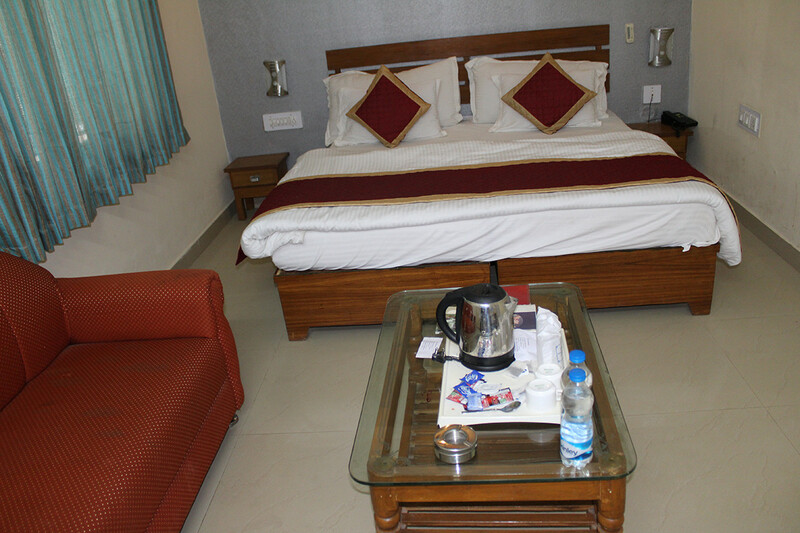 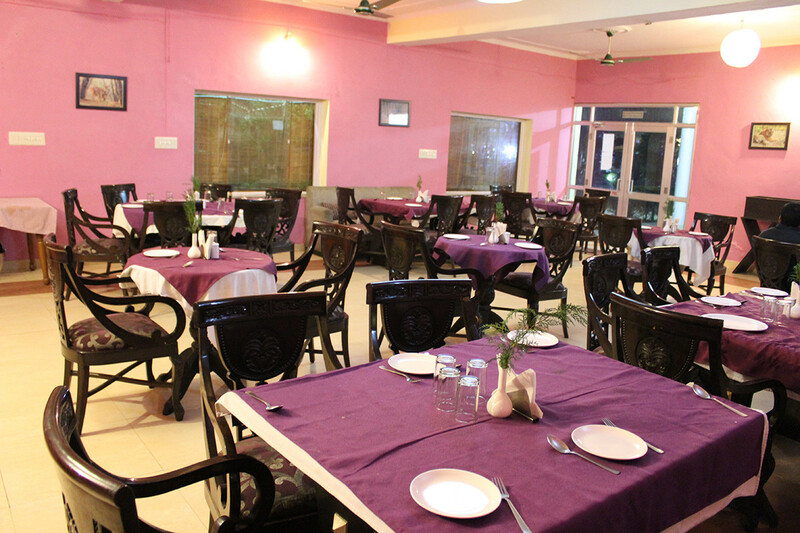 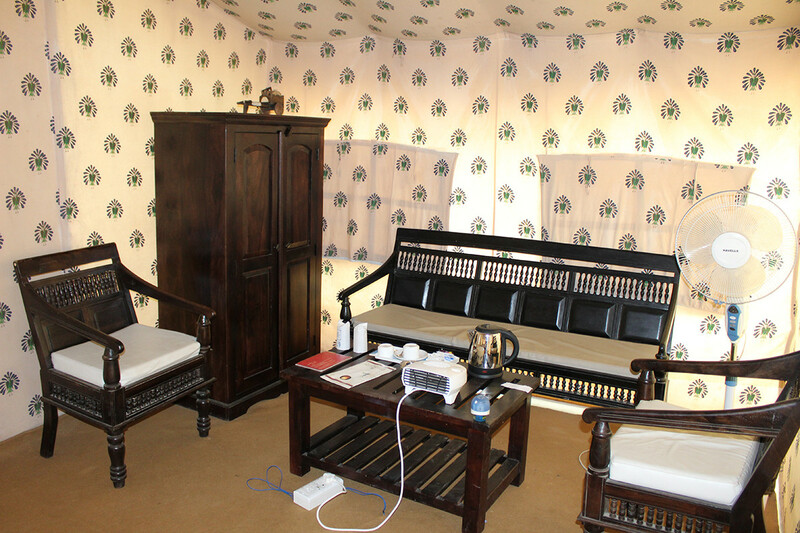 With Access Of WI-FI To Every Room. 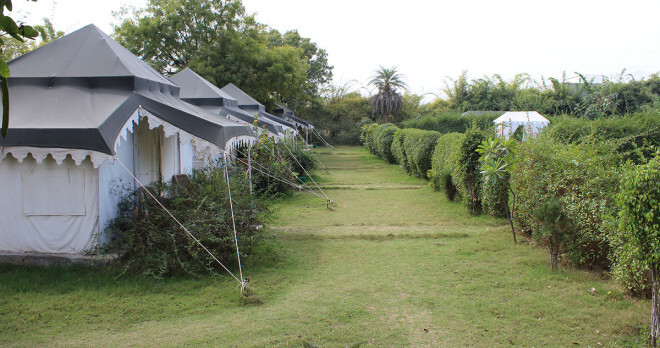 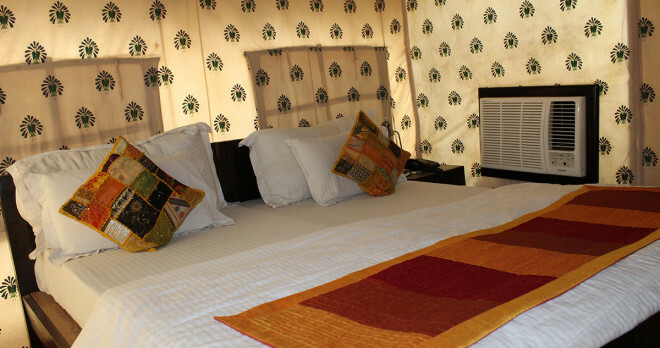 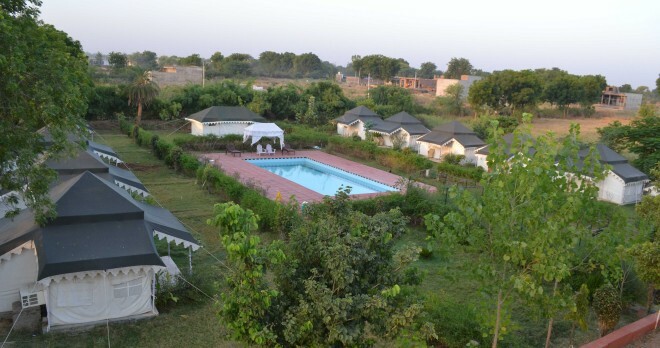 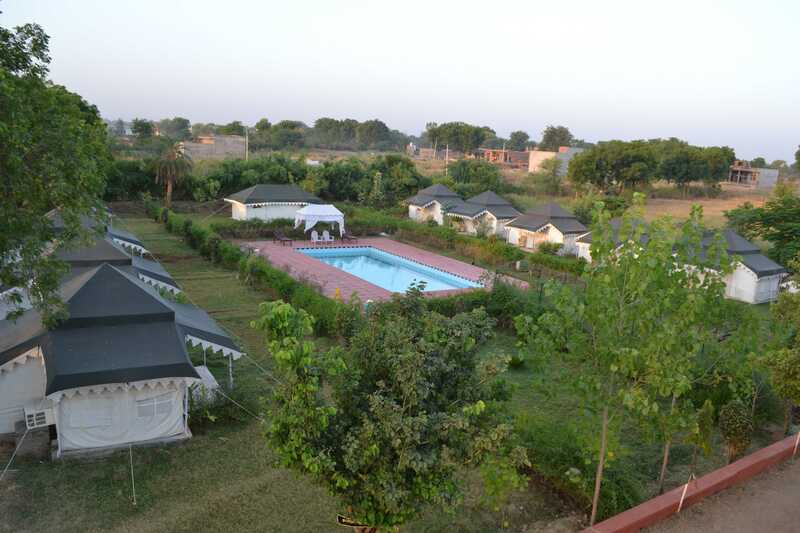 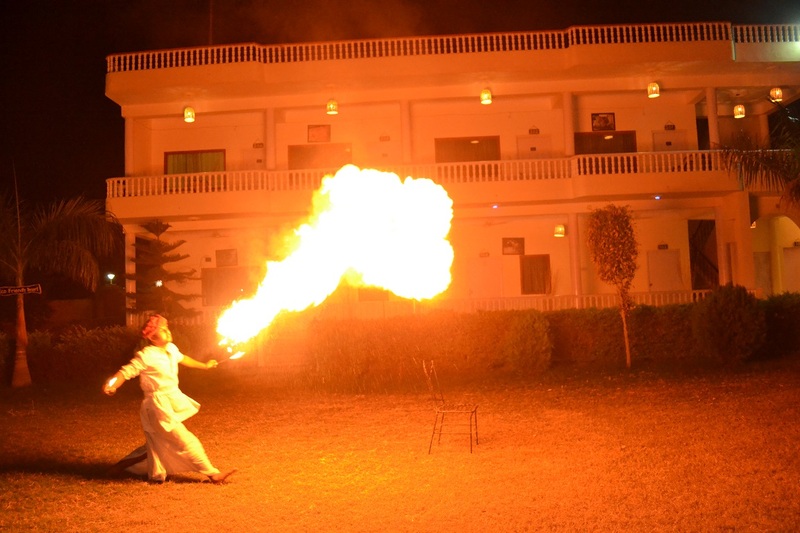 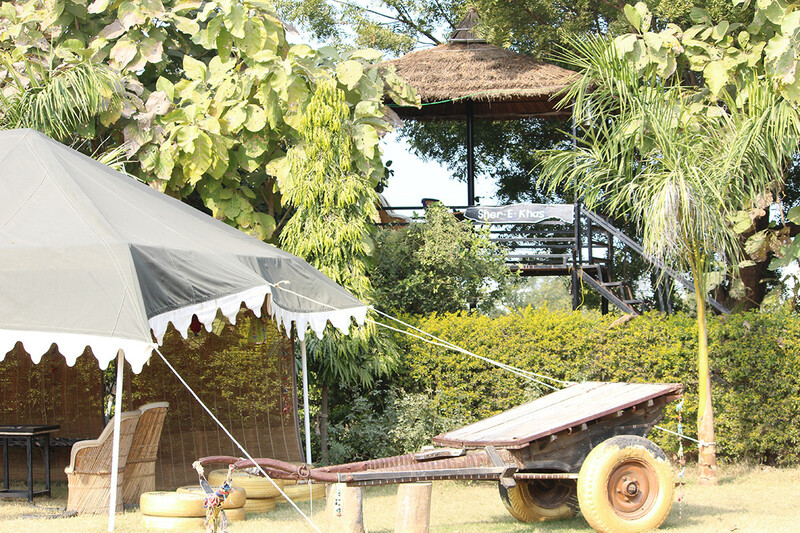 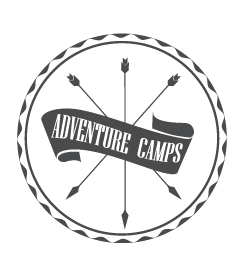 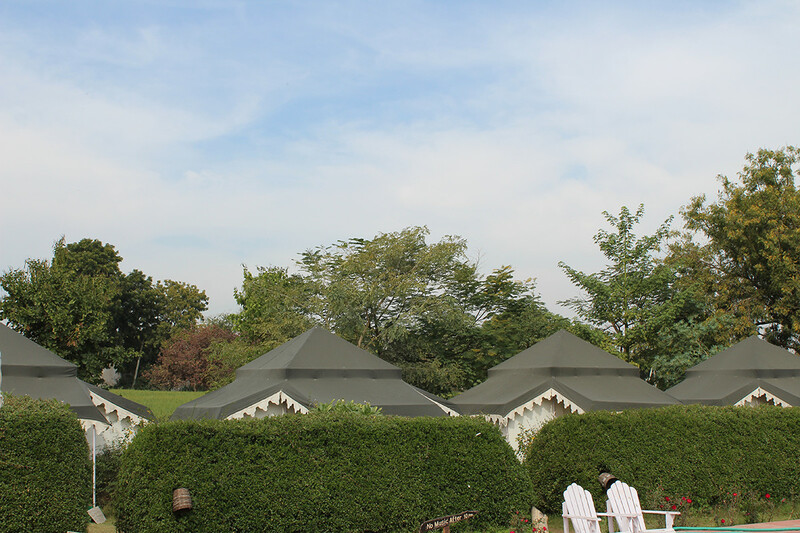 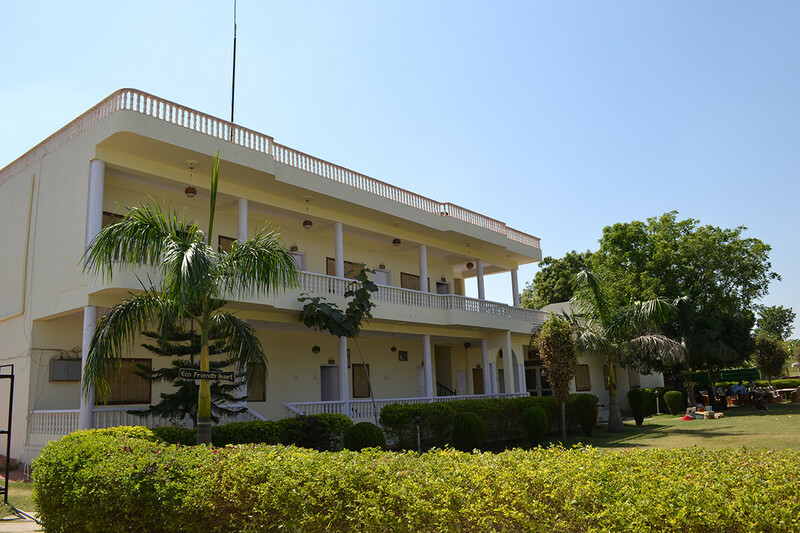 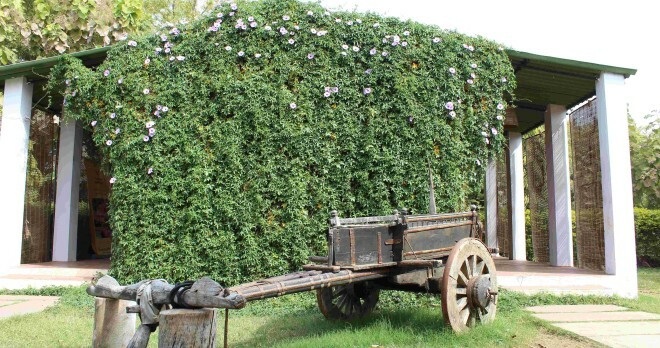 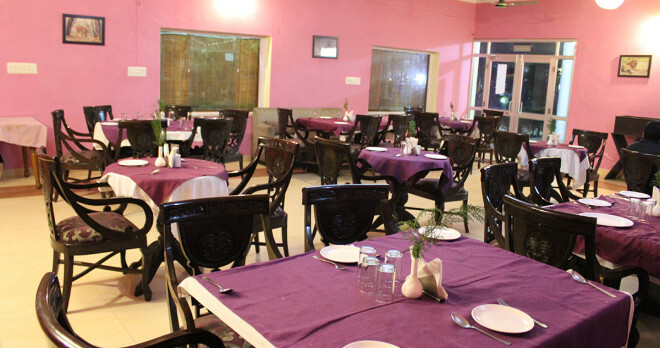 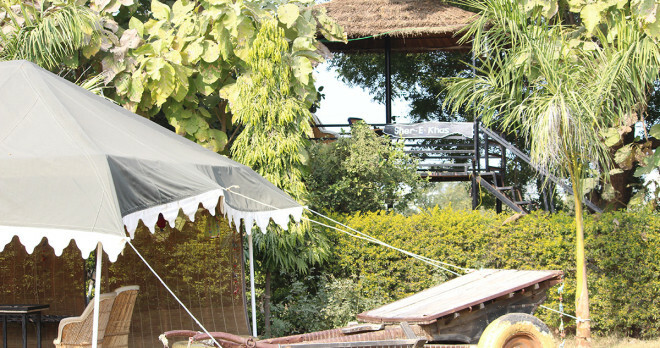 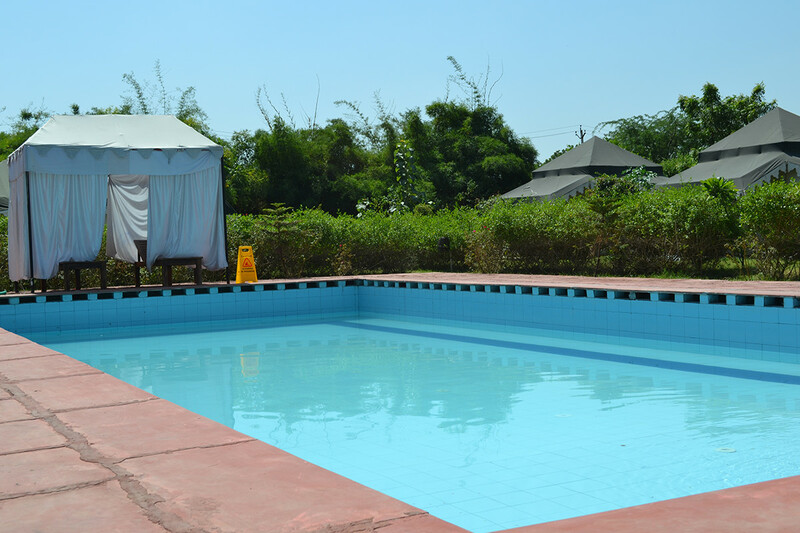 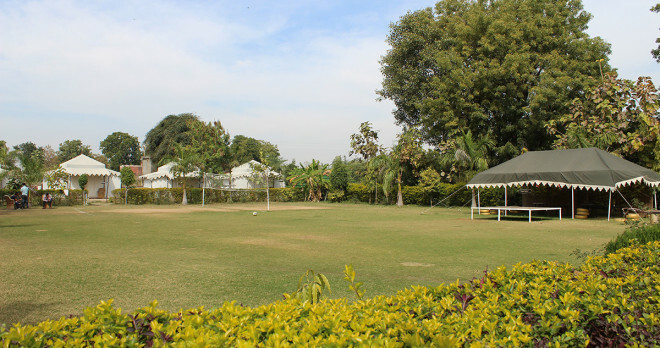 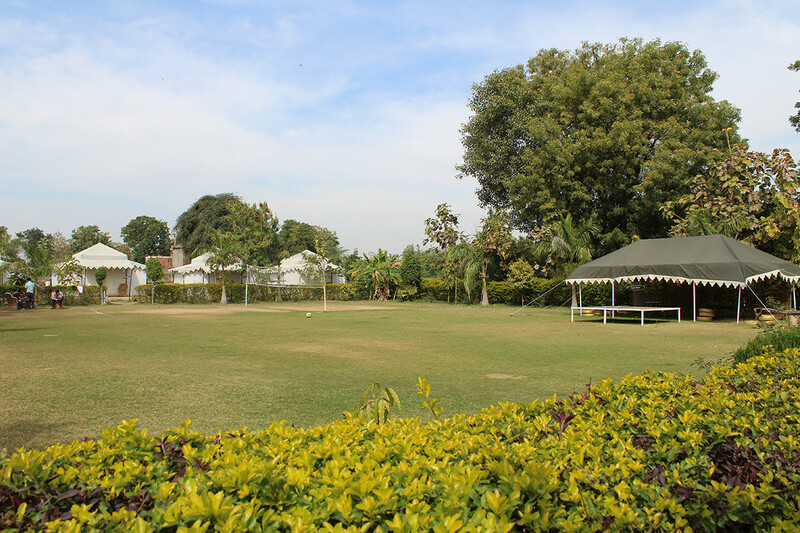 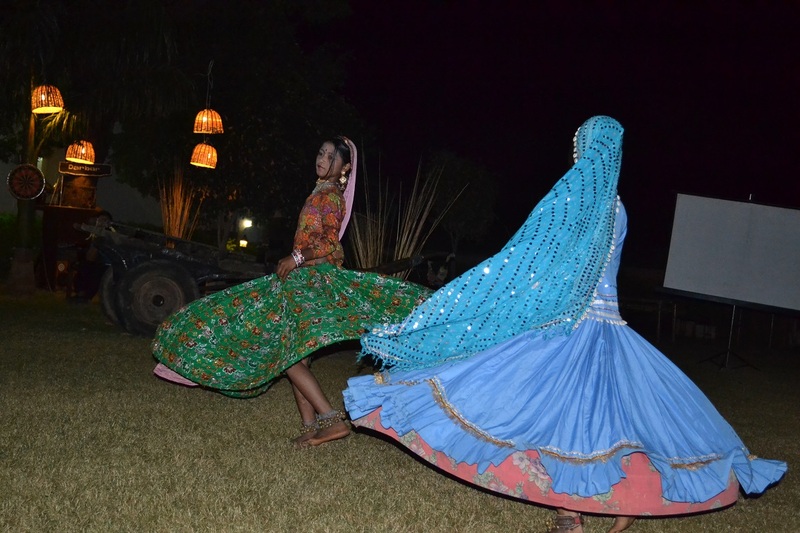 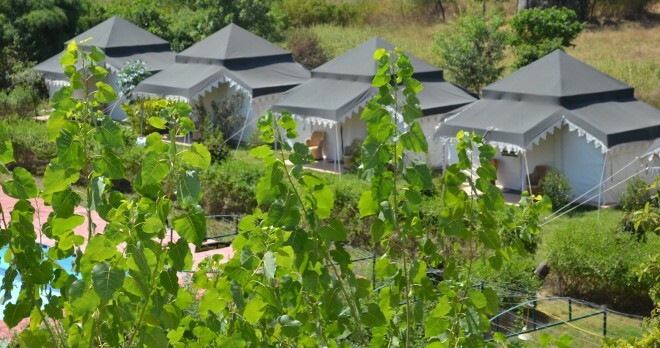 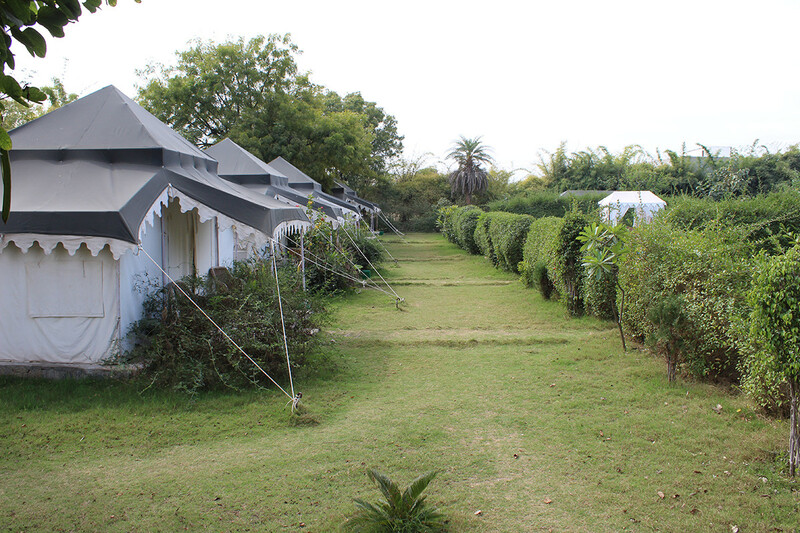 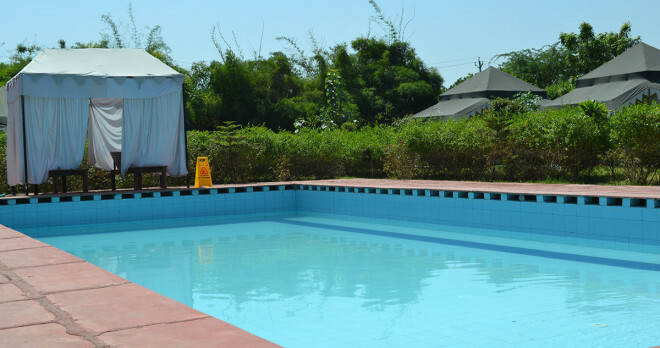 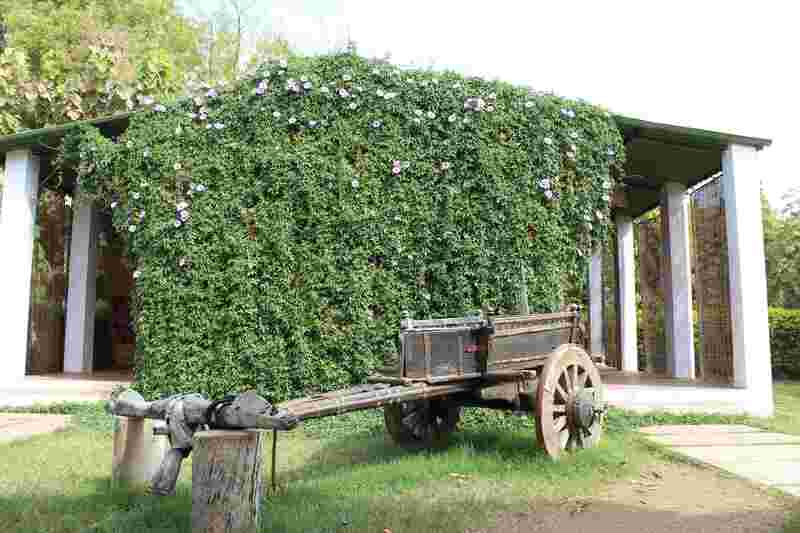 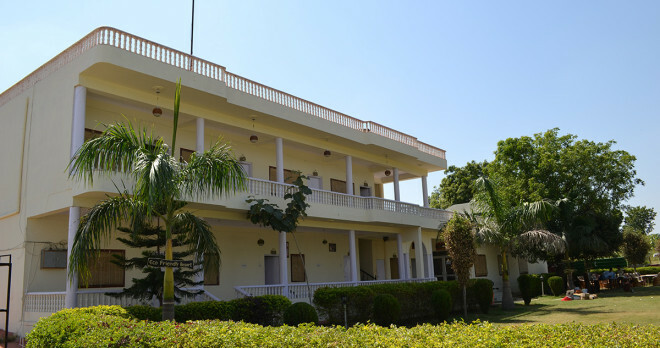 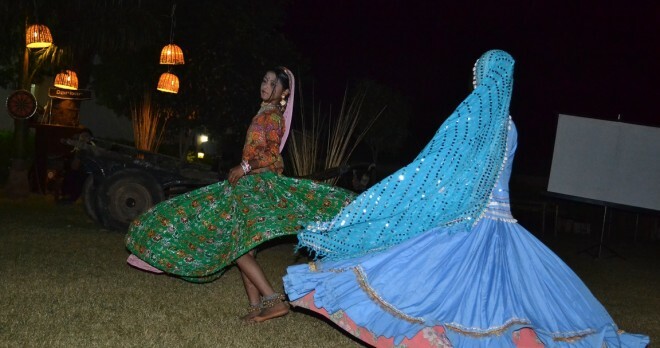 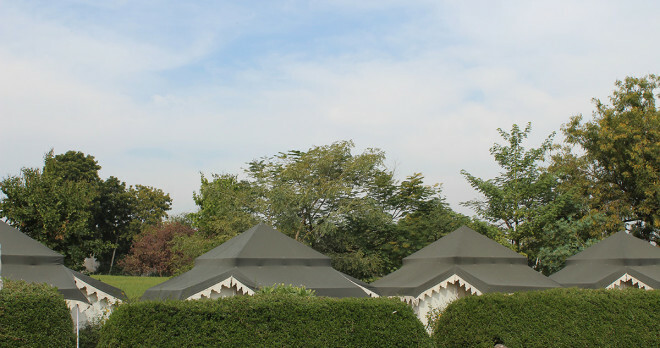 SHER VILAS RANTHAMBORE offers, 15 Maharaja A/C Tents, 11 Tents Facing To Swimming Pool and 4 Maharaja Tents Facing To Garden and Jungle Mountains.The Maharaja Tents have been beautifully designed by our in-house designers who have taken care of the minutest details. 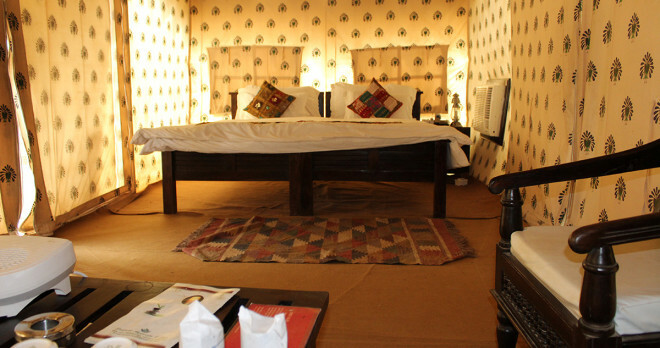 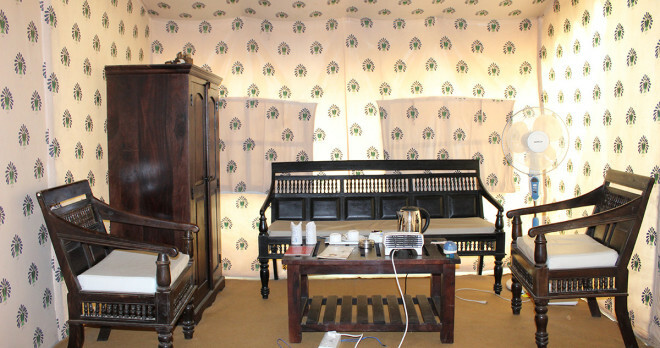 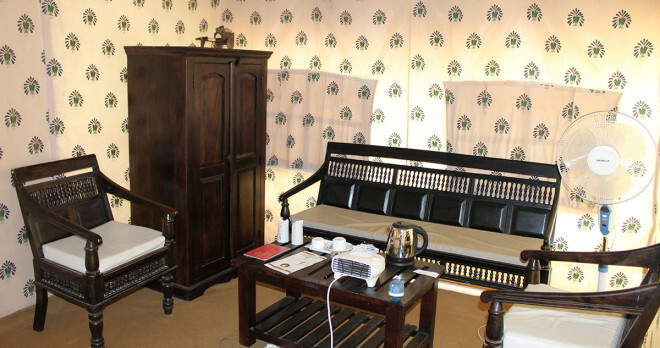 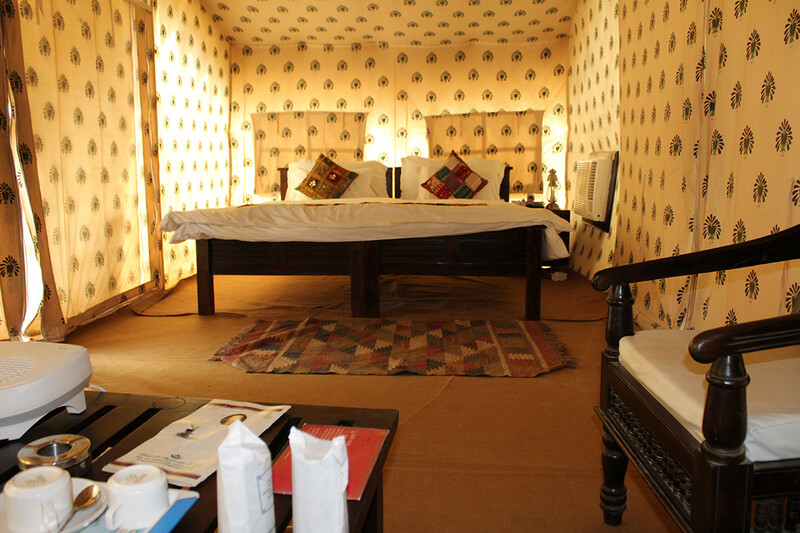 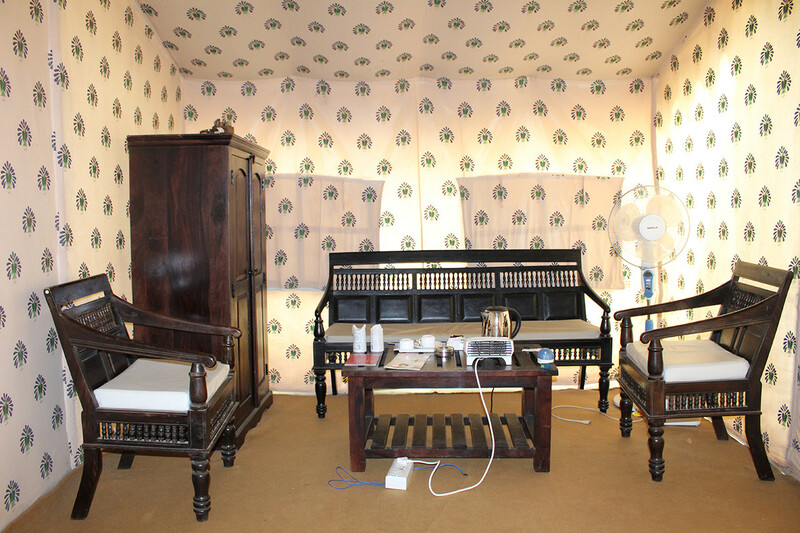 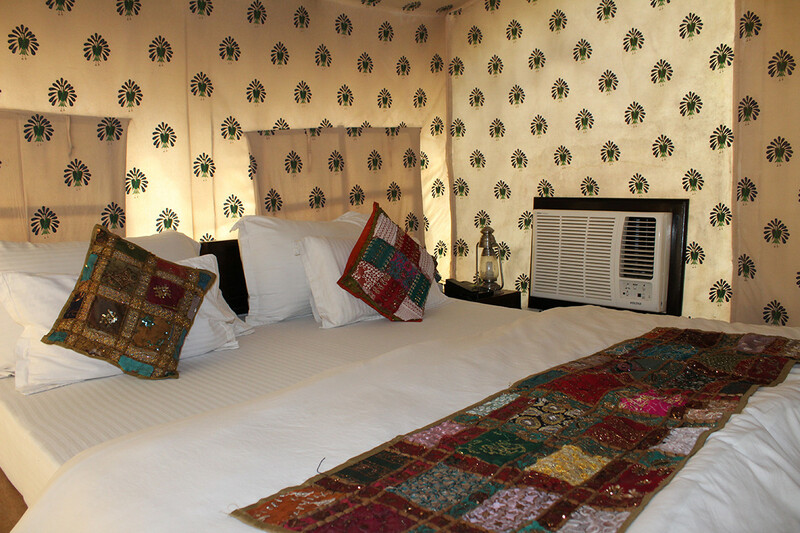 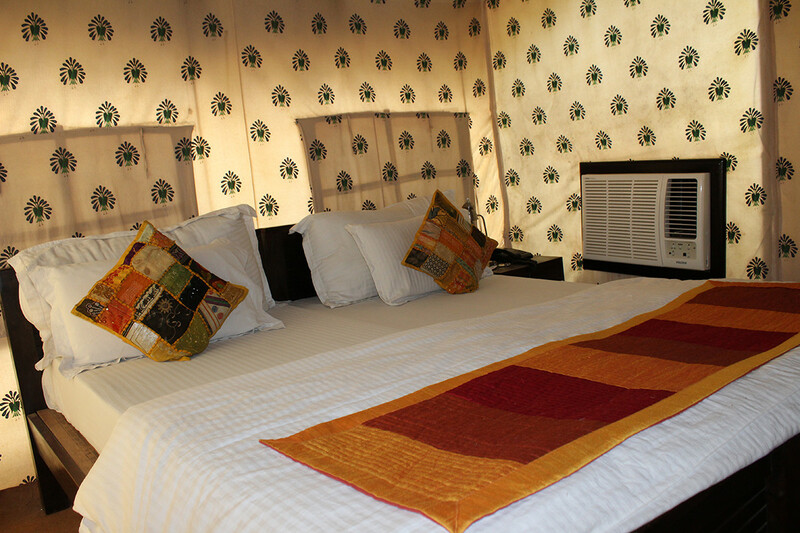 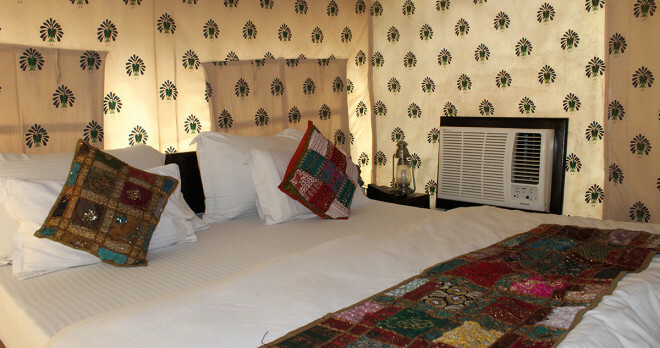 Aesthetically done furniture with beautiful Sanganeri Block Printing interiors are waiting to greet you at Wilderness Destination Ranthambhore. 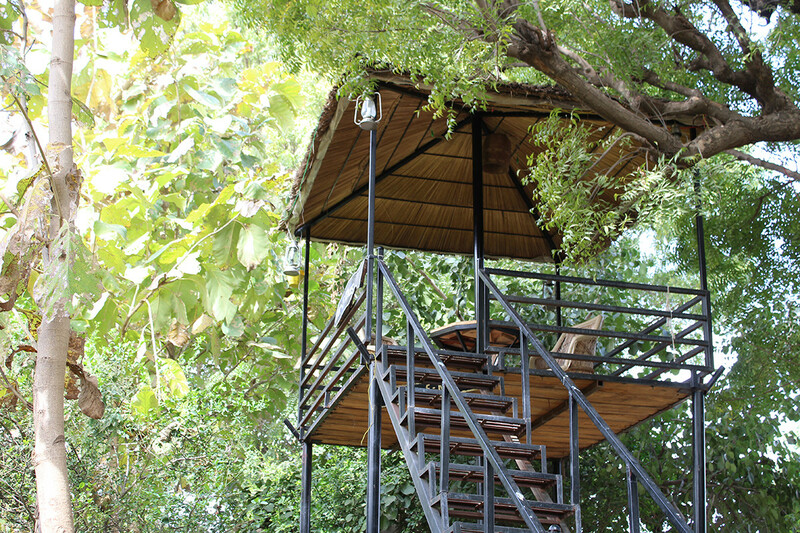 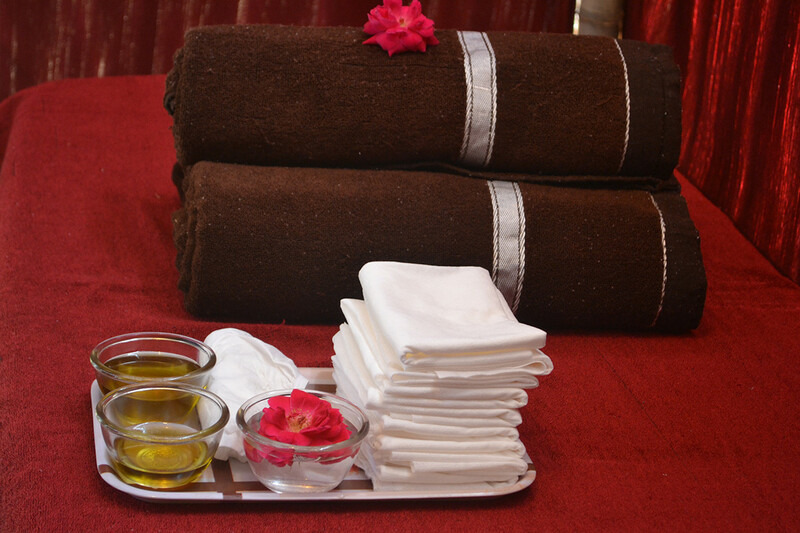 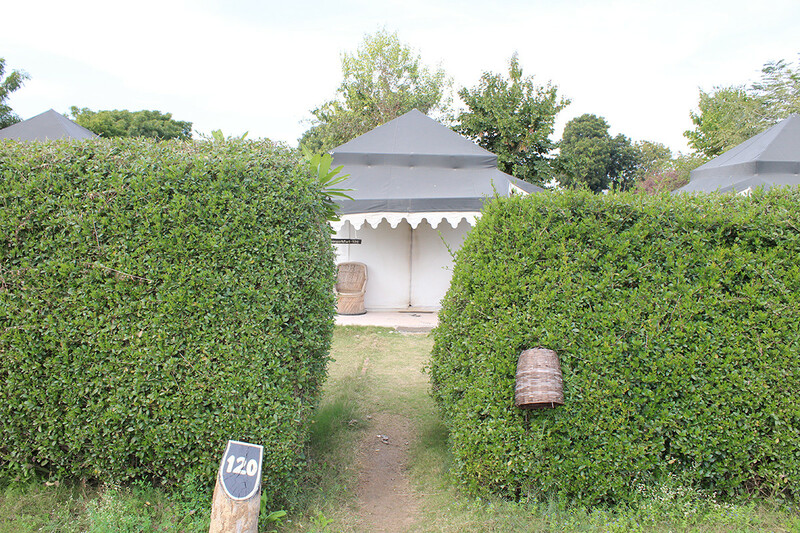 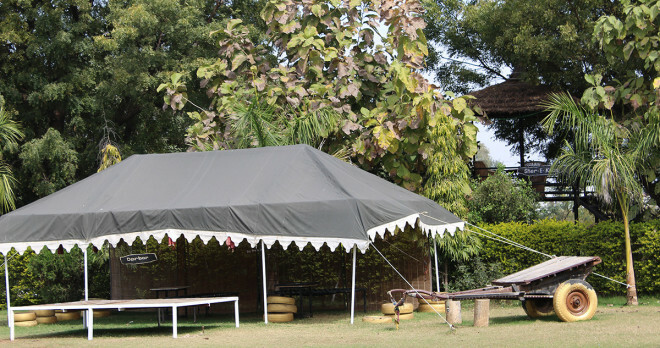 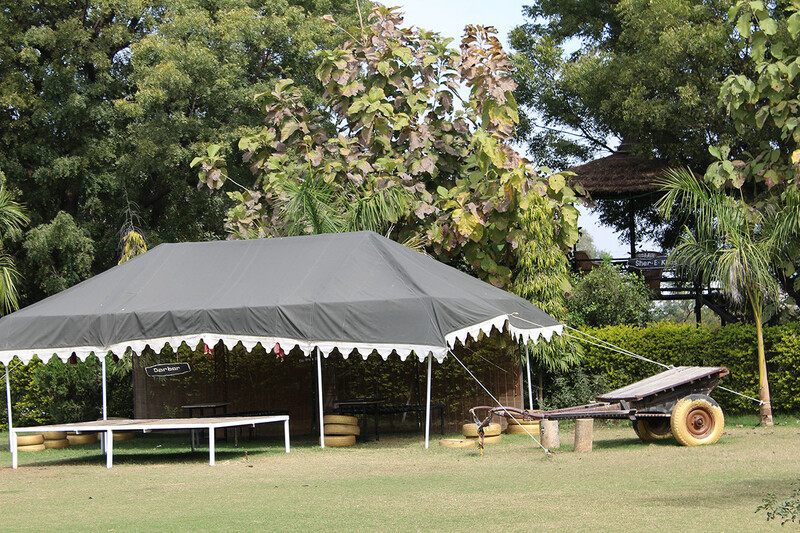 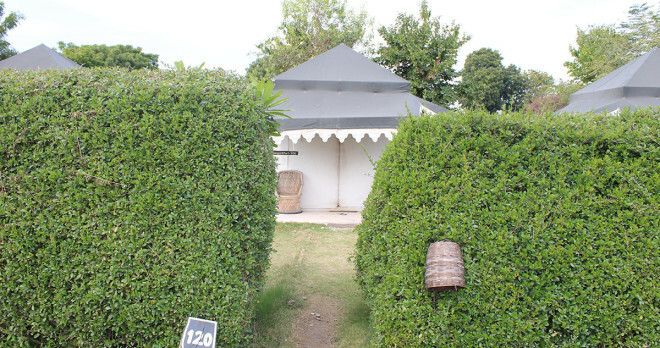 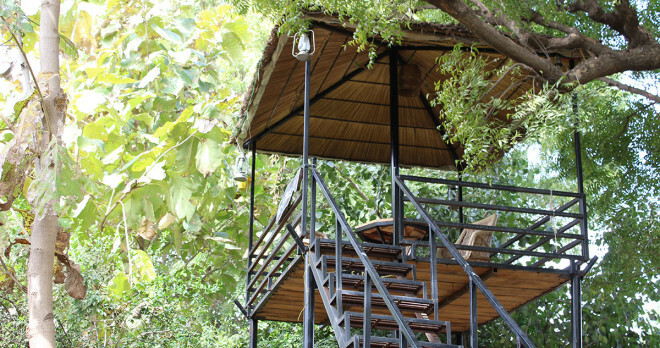 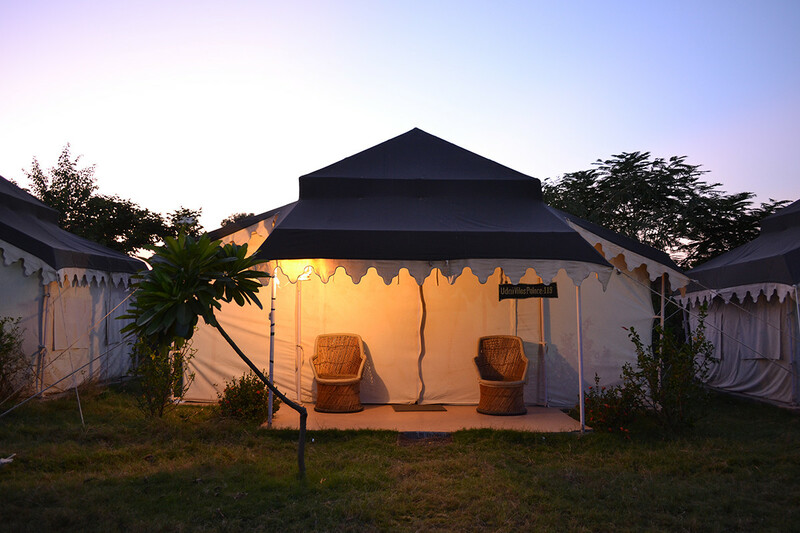 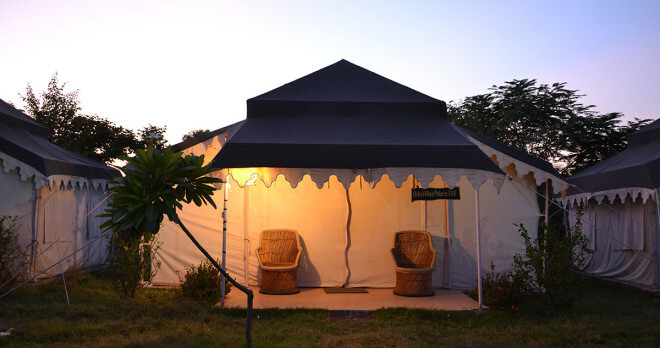 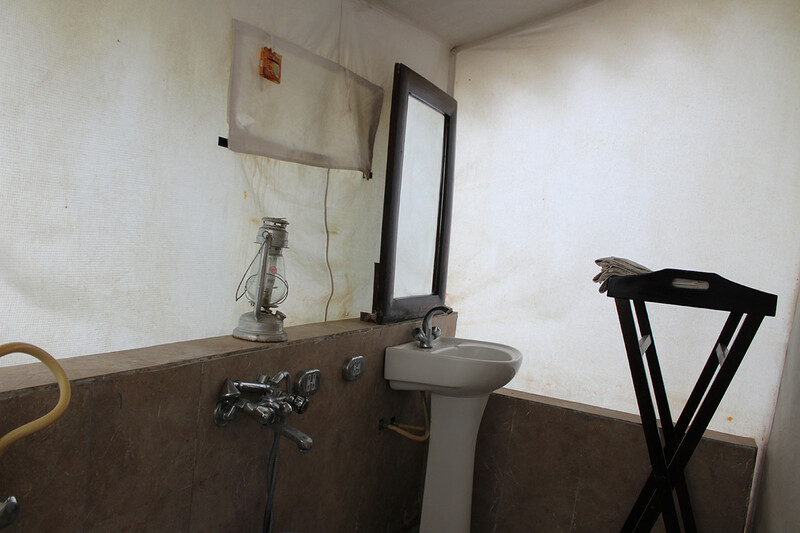 Last but not the least our Maharaja Tents are all Eco-friendly, fully secured, Fire resistant, water proof, and Lockable. 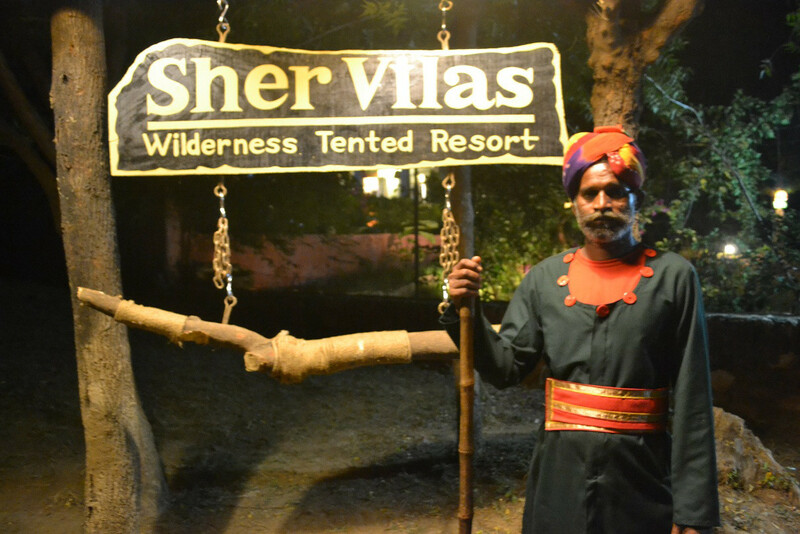 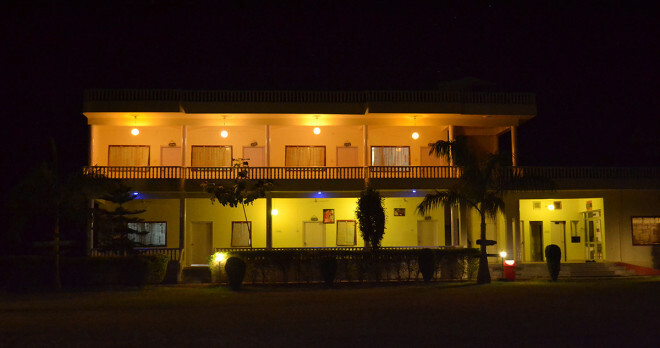 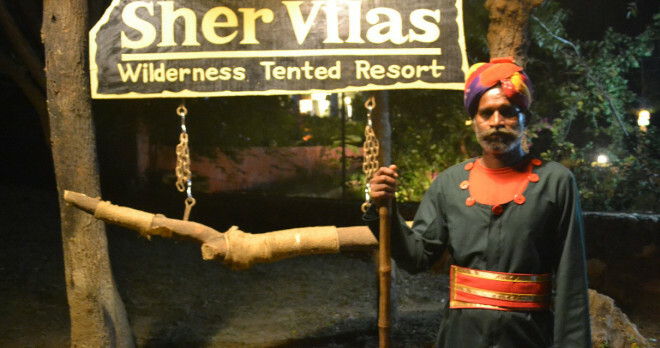 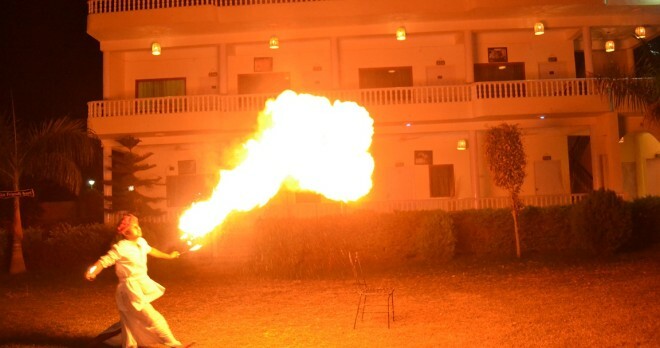 Experiences at sher vilas ranthambore.